When the framers of the U.S. Constitution created a new government for their untried Republic, they realized the critical need for a respected monetary system. Up to that point, currency in the U.S. included a mix of foreign and colonial currency, livestock, and produce. Soon after the Constitution’s ratification, Secretary of the Treasury Alexander Hamilton personally prepared plans for a national Mint. On April 2, 1792, Congress passed The Coinage Act, which created the Mint and authorized construction of a Mint building in Philadelphia, what was then the nation’s capital. This was the first federal building erected under the Constitution. In 1873, the Mint became part of the Department of the Treasury. Learn more about the history of the Mint. Watch the video below to see how the Mint has made coins over the years. Acting Deputy Director David M. Croft joined the U.S. Mint in 2007 as the Plant Manager of the Denver Mint. 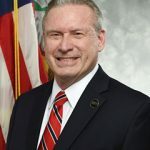 He transferred to Washington, DC in 2014 and held positions as the Associate Director of Manufacturing and Acting Chief Administrative Officer before becoming the Acting Deputy Director in February 2018. Read his full biography on the Director’s Office page. Congress authorizes every coin and most medals that the U.S. Mint manufactures and oversees the Mint’s operations under its Public Enterprise Fund (PEF). Information about coin-related products from private companies and coin-related issues relevant to consumers. Join us for coin launch events, coin forums, and conferences. Please visit this page for updates regarding public coin design competitions, including current call-for-artists and announcements about winning designs. The United States Mint will accept submissions for this competition starting May 1, 2017.